Cat licks and kitty kisses are not a common view. But cats do groom one another as well as their humans. 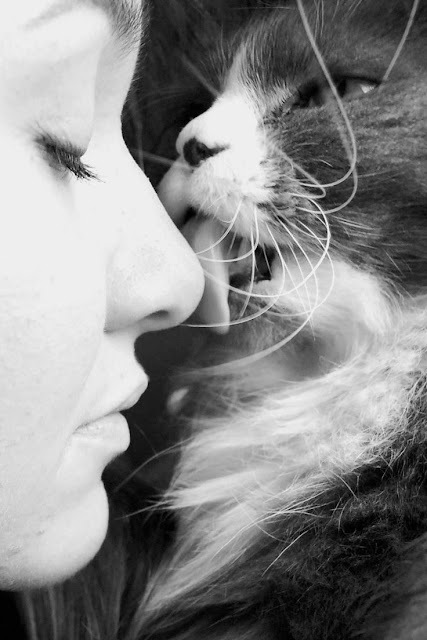 So if your cat is grooming you, it means he sees you as part of his family, and is showing his love for you. Such behavior is unusual to kittens, while adult cats rarely bestow their owners with licks. This gesture demonstrates that your furry companion invites you to be his friend.